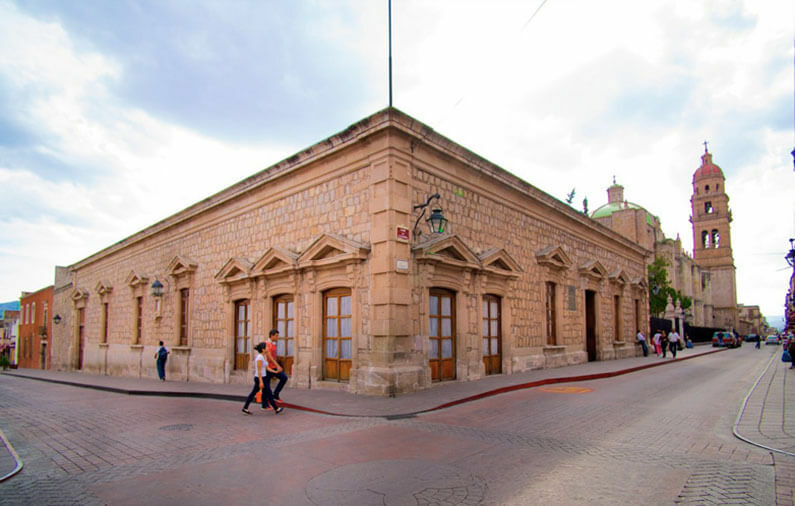 We have said it before and today we emphasize it, the best option that exists to know a place, is to do it on foot; so today we propose a pedestrian route through the historic center of Morelia, in Michoacán. 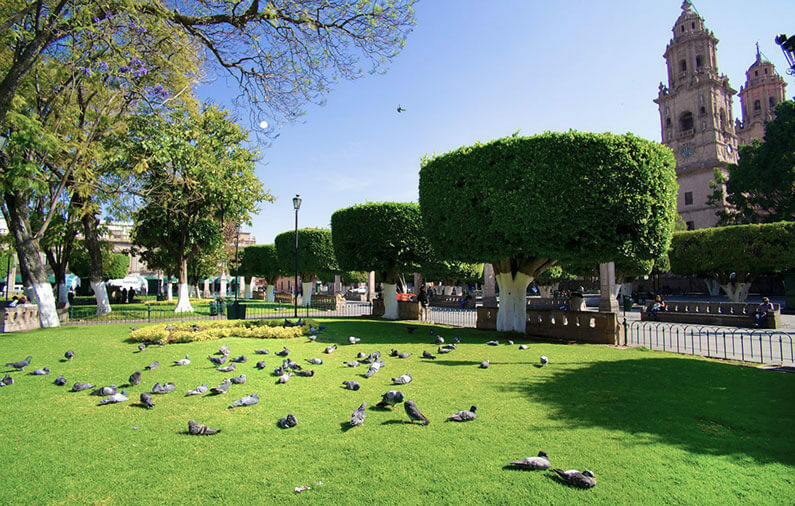 There are 1,113 monuments, more than 200 historical buildings built with pink cantera and its 15 plazas which have made the Historic Center of Morelia worthy of the world recognition by UNESCO as “Cultural Heritage of Humanity”, title obtained in 1991. 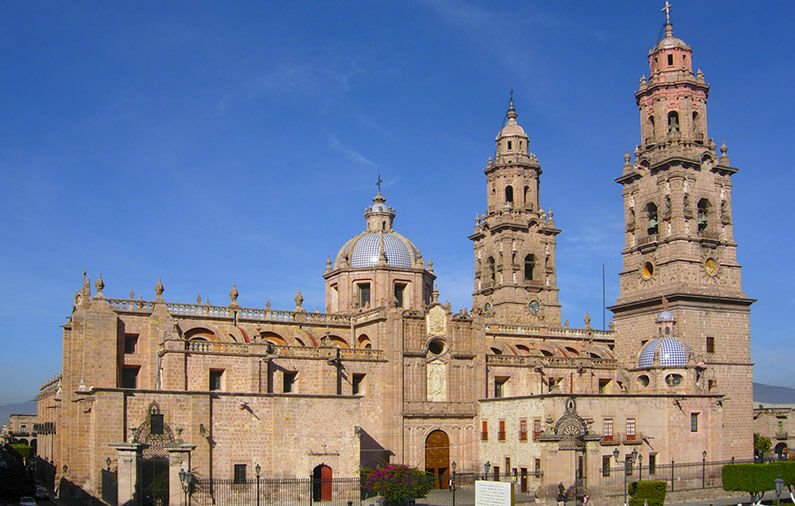 After mentioning the large number of attractive places we can marvel at in the Historical Center of Morelia, it can be difficult to choose where to start exploring, but what better way to start than what was cataloged by the best art critics of the 19th century as “the most beautiful of all New Spain”?, We are talking about THE CATHEDRAL, whose almost 70 meters high, domes and towers built with the beautiful and elegant pink cantera make visiting it a delight. Inside there are original works of art, paintings of the 16th century, a huge sculpture of a Christ made of corn paste and a beautiful crown of pure gold, gentle gift of King Felipe II of Spain. The location of this cathedral is in the full heart of the city, in front of its main square. On Saturday nights, its beauty increases as it is decorated by a firework show that makes it look even more spectacular. 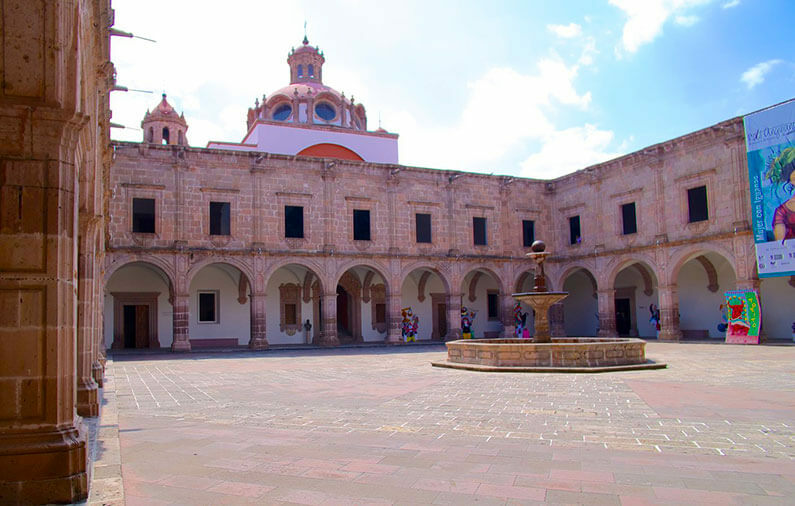 It is very common for every city in Mexico to have a “plaza de armas” or “main square”, which is usually the main meeting point for visitors and residents; in this case THE MAIN PLAZA OF MORELIA has a very peculiar history since it was witness of diverse events of religious character happened in 19th century which marked the city’s history. 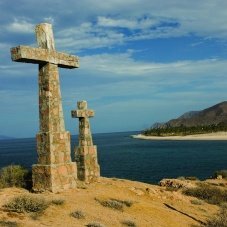 When you walk through this place, besides breathing fresh air and harmonizing your mind with the noise of the water that falls from the fountains, you can find the plaque granted by UNESCO where it is declared a World Heritage Site. 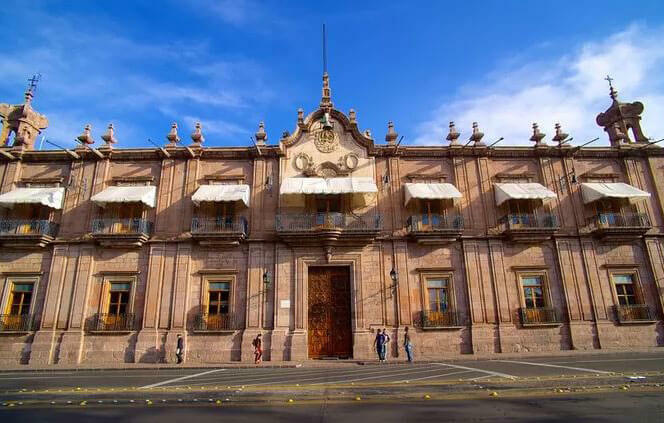 Walking a little further on, along the main avenue of the city, Francisco I. Madero, you can reach the Federal Palace, which originally served as a convent. Today it is one of the most beautiful buildings in the city, with an eclectic French style with ornamental finishes on the facade and a lot of spaciousness and beauty inside. 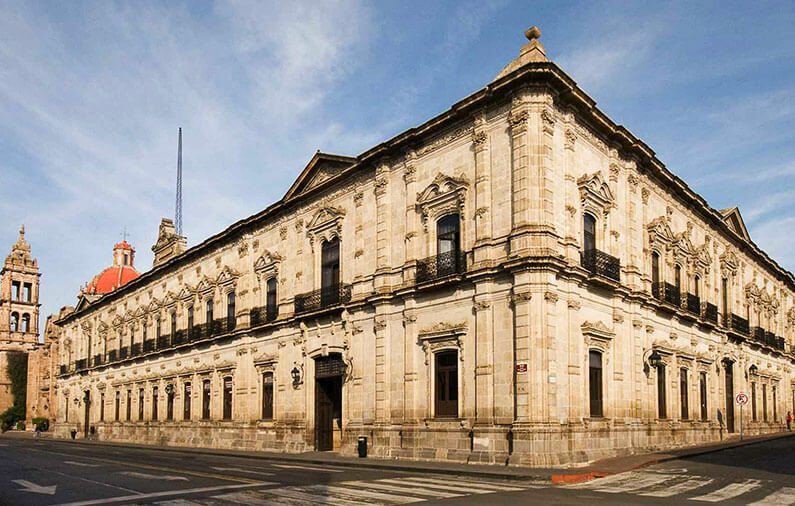 It currently serves as the headquarters of the Morelia post office. José María Morelos, a character recognized for his heroic participation during the war of the Independence of Mexico, was born in Morelia, in a simple brick house that today houses an incredible museum where a little of what their life was like is shared with the people, from his birth to his execution, highlighting his participation in the event that today makes Mexico a free and sovereign country. 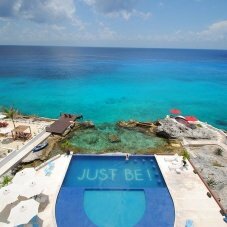 It is just behind the cathedral, so it will not be difficult to find it on La Corregidora Street. MICHOACÁN’S PALACIO DE GOBIERNO is also part of the uniqueness and beauty of the Historic Center of Morelia, and the history of Mexico, since before being the seat of the highest governmental power in the state, it was a seminary where José María Morelos became a priest, the same hero of the Independence of Mexico of whom we have already talked. Inside you can find representations of the main events in the history of Mexico embodied in beautiful murals created by the artist Alfredo Zalce. EL PALACIO CLAVIJERO is a place where culture and arts spread is paramount; this site is the venue for the exhibition of several famous artists, among them Diego Rivera, Javier Marín and Francisco Toledo. It dates from the seventeenth century and its walls protect the story of being one of the most important Jesuit schools in the country since its creation until 1767. To finish with this tour we will do it in the best way, with something that literally speaking, will leave everyone with a good taste in their mouths. We are talking about the MUSEO DEL DULCE DE LA CALLE REAL, or Sweets Museum on the Royal Street. 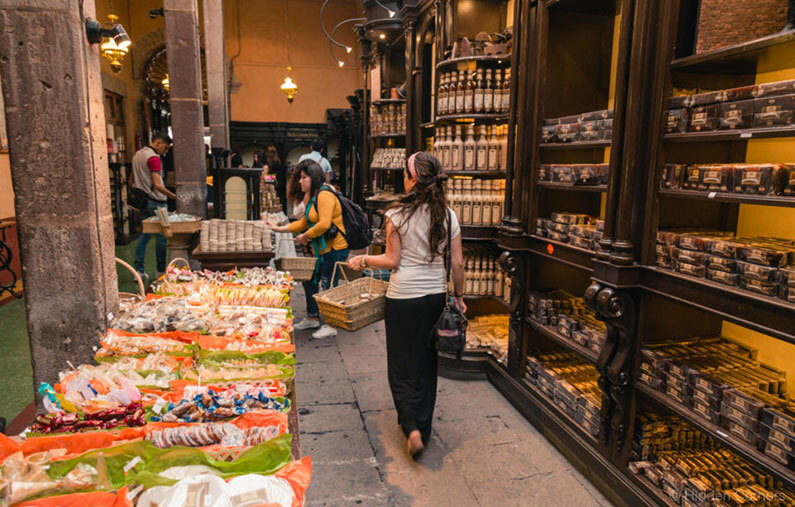 This site of yesteryear, dating from the times of the Independence of Mexico, has remained in the taste of people since 1840, offering the best of the typical sweets of the city that fuse the folklore and colorfulness of ancient Mexico with Spanish cuisine. 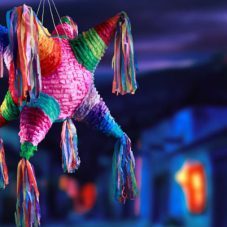 In addition to acquiring the most representative sweets of the place, it will be very relaxing to sit and taste delicious dishes and desserts in its restaurant area called “El patio de atrás”, or The backyard. 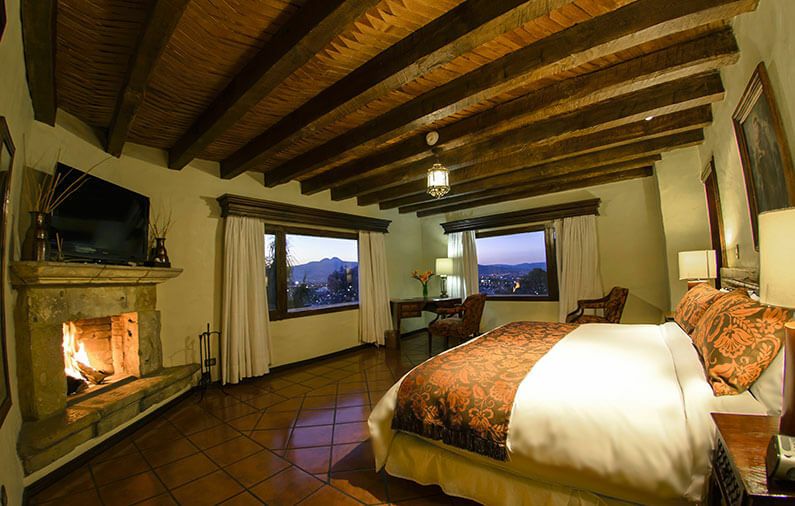 The best place to stay in Morelia is the VILLA MONTAÑA hotel, a select member of MEXICO BOUTIQUE HOTELS, a gem of years that combines the elegance of ancient times and modern luxuries. 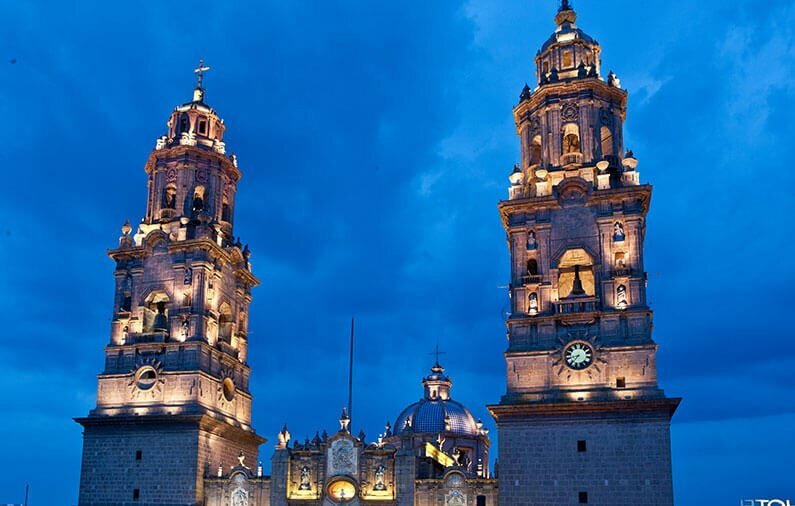 The best views of the majestic city of Morelia can be seen from there.